The Best Savannah Blogs from thousands of Savannah blogs in our index using search and social metrics. We’ve carefully selected these websites because they are actively working to educate, inspire, and empower their readers with frequent updates and high-quality information. Savannah, Georgia About Blog A complete Savannah GA Travel & Tourism Guide specializing in the Historic District, hotels, bed and breakfasts, tours, restaurants, real estate, attractions and local business information. Facebook fans 23,174. Twitter followers 4,639. Savannah, Ga About Blog Our mission is to celebrate the inimitable Savannah lifestyle and serve the city as thought leaders. We discover and uplift the talented individuals of the city’s creative class. With smart, layered, inclusive content, we interpret Savannah’s unique cultural identity—and become the change we want to see in the city. Facebook fans 15,264. Twitter followers 15,650. Savannah, Georgia About Blog The Savannah, Georgia alternative weekly newspaper for breaking news and local news, music, arts, events, restaurant and bar listings. Facebook fans 18,777. Twitter followers 28,224. Savannah, GA About Blog The official Website for the City of Savannah, Georgia local government. Facebook fans 21,341. Twitter followers 15,879. Savannah, Ga. About Blog dosavannah.com delivers up-to-the-minute news and information on the latest top Food and Dining in the Savannah City. Facebook fans 17,553. Twitter followers 14,159. Savannah, GA About Blog The EMMY Nominated, Eat It and Like It, is the best food and travel program to show you where to eat in Savannah, Georgia and throughout the South. Facebook fans 7,286. Twitter followers 4,134. Tybee Island, GA About Blog Tybee Island Georgia, Savannah's Beach Visitor Information and Travel Guide, Hotels, Motels, B&Bs, Inns, Vacation Rentals, Attractions, Shopping, Dining. Facebook fans 192,672. Twitter followers 14,256. Savannah, Ga. About Blog hissing lawns was founded in Sept. 2013 because we thought that Savannah needed and deserved a music blog like this. hissing lawns features a variety of contributors and includes posts of local, regional, and national interest. We also have a rapidly growing set of photo galleries. hissing lawns was named best blog in the city in the alt-weekly Connect Savannah's 2015 Best of Savannah readers poll. Facebook fans 2,405. Twitter followers 1,041. San Francisco, CA About Blog Local Savannah Stuff. Get all the latest news and updates about Savannah, Georgia. Facebook fans 1,187,230. Twitter followers 556,723. Savannah, GA About Blog Residential and Commercial real estate firm in historic Savannah, GA. As Savannah's only full-service boutique brokerage, Judge Realty has an arsenal of qualified agents that provide a broad spectrum of real estate services. Facebook fans 1,820. Twitter followers 2,467. Savannah, GA About Blog Don Callahan Real Estate Group Realty is the ultimate source for buyers and sellers in the Savannah, Georgia area. Facebook fans 2,745. Twitter followers 404. Savannah, GA About Blog Our mission is to represent the Hostess City in the United Premier Soccer League. Operating as a Non-profit, we hope to engage fans, local businesses and give back to our community. Facebook fans 1,094. Twitter followers 836. Savannah About Blog Our website makes it easy for you to search MLS listings from high-end riverfront condos to luxury waterfront estates. Savannah, GA About Blog The Cottages at Emerald Cove offers a new style of apartment home living with a flawless blend of designer inspired interiors in a gorgeous low country setting. Facebook fans 44. Twitter followers 2. Georgia About Blog Andrea Krey Photography LLC is a boutique photography studio in Richmond Hill, Georgia with the main focus on maternity, newborn and baby photography. The full service photography studio offers timeless wall art, luxe album and heirloom folio boxes. Facebook fans 993. Twitter followers n/a. Savannah About Blog The Savannah College of Art and Design exists to prepare talented students for professional careers, emphasizing learning through individual attention in a positively oriented university environment. Facebook fans 738. Twitter followers n/a. 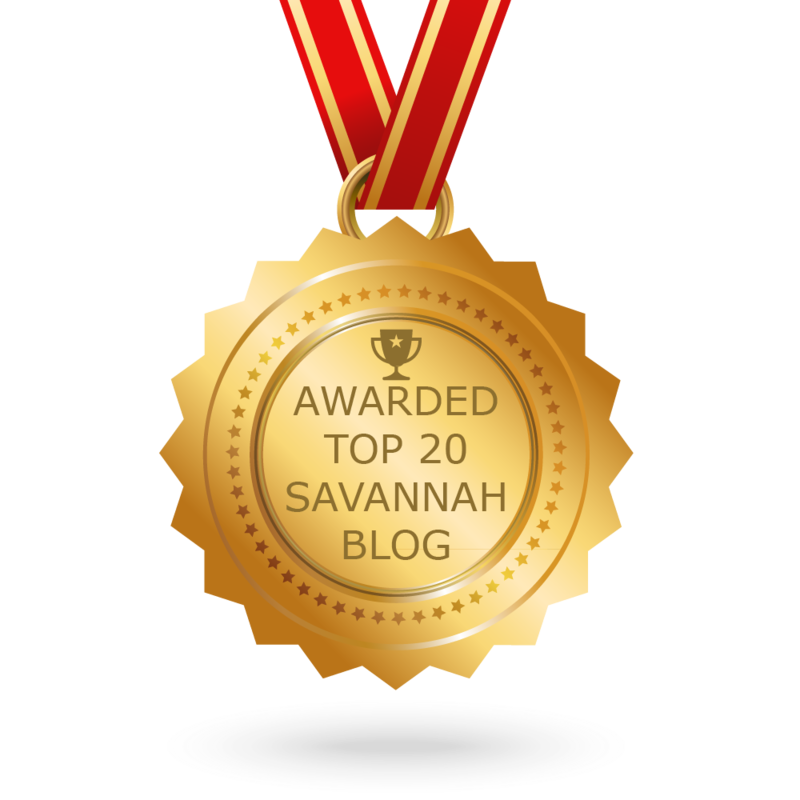 CONGRATULATIONS to every blogger that has made this Top Savannah Blogs list! This is the most comprehensive list of best Savannah blogs on the internet and I’m honoured to have you as part of this! I personally give you a high-five and want to thank you for your contribution to this world.